Umpire are Perth’s widescreen indie-rock craftsmen, combining sprawling rock sounds with reflective melancholy, expertly wielding massive sun-drenched melodies, serpentine guitar parts and soaring vocals to spectacular effect. 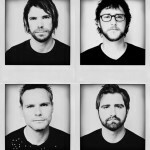 Australian audiences first became familiar with the band via with their debut single ‘Streamers’, which achieved widespread critical acclaim, national airplay and won WAM Song of the Year in 2009. Umpire’s brilliant self-titled debut release, featuring the standout track ‘Streamers’. 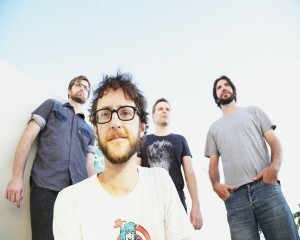 ‘Streamers’ received rave reviews and widespread high-rotation airplay on both Triple J and community radio, as well as taking out the grand prize in the WAM Song of the Year in 2009. The Umpire EP presented a beautiful progression from three of the band members’ amazing work as Mukaizake, while moving into more accessible yet equally complex songcraft. 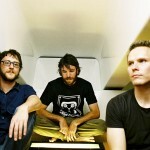 Based in Perth, Western Australia, Umpire was formed in 2006 as a studio songwriting and recording project, where Simon Struthers, Geoff Symons and Michael Lake had the opportunity to utilise the studio as an instrument, developing their songs without the pressures of playing as live band. 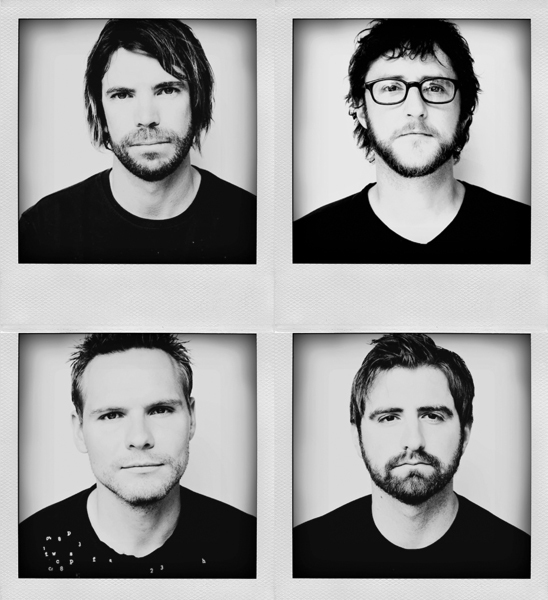 The band released their first self-titled EP in 2009, which featured the standout track ‘Streamers’. 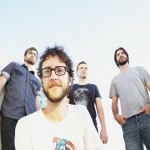 ‘Streamers’ received rave reviews and achieved widespread high rotation airplay on both Triple J and community radio, as well as taking out the grand prize in the WAM Song of the Year in 2009. 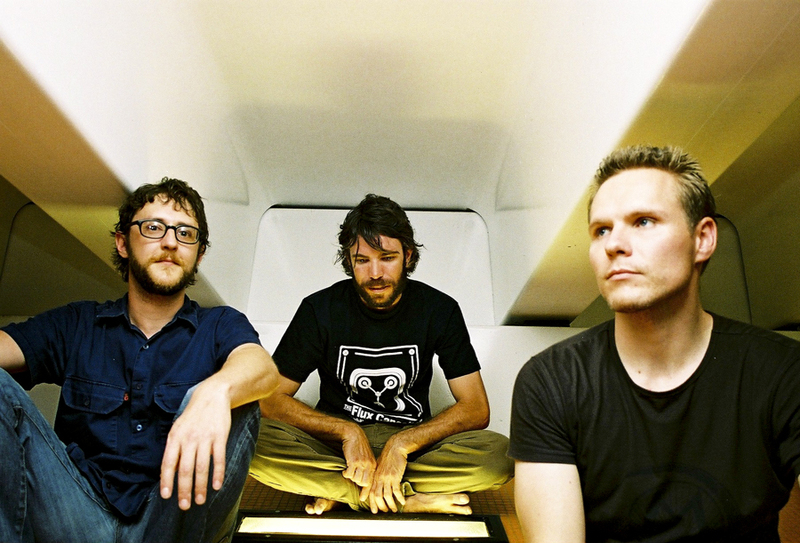 The founding members of Umpire (Geoff Symons, Simon Struthers and Michael Lake) have a long history in the Perth music scene, playing in many seminal progressive indie-rock bands, including Adam Said Galore, O and Hidden Shoal’s very own Mukaizake, so it was a natural progression for the band to develop their live show by adding drummer, Josh Watkins. 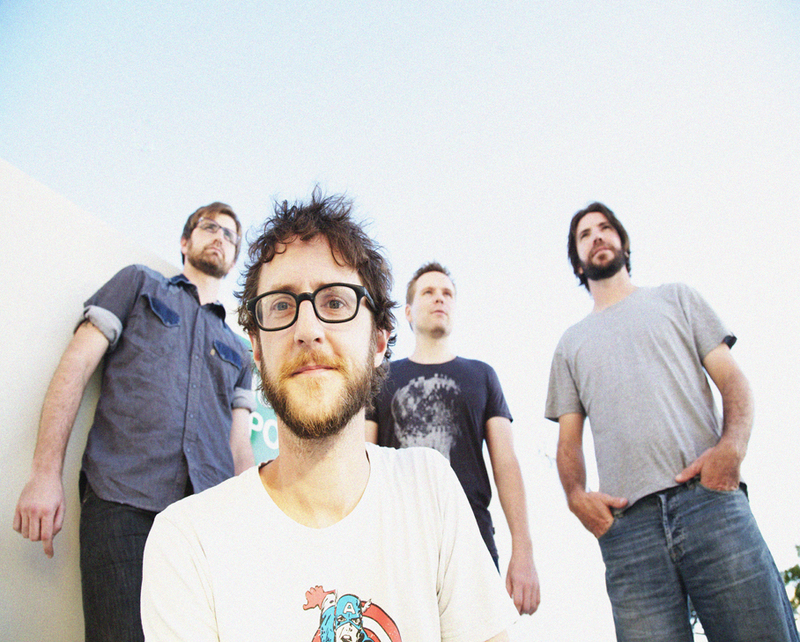 Performing the songs live has allowed the band to tour Australia and play with many of their musical heroes, including Stephen Malkmus, Built to Spill, Paul Dempsey, The Jezebels, Sugar Army, Jebediah, Love Of Diagrams, Dan Kelly, Bob Log III and Tame Impala. Hidden Shoal Recordings is excited to announce the release of ‘Supply Chins’, the second single from Perth’s widescreen indie-rock craftsmen Umpire, taken from their brilliant 2011 debut album Now We’re Active. On an album crammed to breaking point with hooks, ‘Supply Chins’ has perhaps the catchiest hooks of all. Alternating between a massive fist-pumping chorus and reflective verses, the song builds towards a breathtaking climax punctuated by sumptuous horns, weaving vocals and driving guitars. 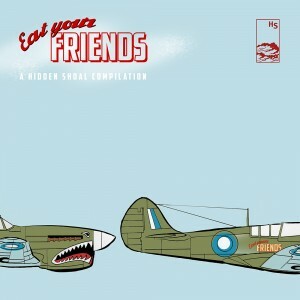 This is indie-rock at its most unashamedly anthemic. Umpire combine sprawling indie-rock sounds with reflective melancholy, expertly wielding massive sun-drenched melodies, serpentine guitar parts and soaring vocals to spectacular effect. From singles ‘Green Light District’ and ‘Supply Chins’ through the chiming guitar surge of ‘The Canyon’ to gorgeous finale ‘Cyclones Into Sunshowers’, Now We’re Active is a stunning release, as expansive as it is propulsive, as heartbreaking as it is life-affirming. 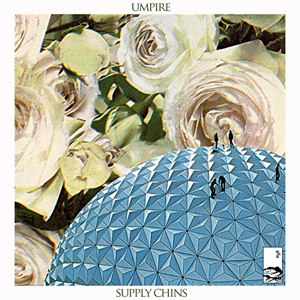 ‘Supply Chins’ is available now as a free download from the Hidden Shoal Store where you’ll also find Umpire’s amazing debut album Now We’re Active. For more info read a full press release here. Hidden Shoal Radio, Google+ and More, More More! Just a few quick miscellaneous bits and pieces we’ve been meaning to pass on. We have recently set up a page on Google+ so if you’re a G+ user then head over and join the Hidden Shoal circle. We’ve also been building a HSR Radio playlist (mp3 clips) over at our YouTube Channel which is now clocking in at over 3 hours of music and growing weekly as we continue to add more tracks. Oh and stay tuned as we still have free tracks from Umpire and Antonymes/Slow Dancing Society coming your way before the end of the year! Win Umpire Goodies at Scene Point Blank! The wonderful crew at Scene Point Blank in conjunction with Hidden Shoal have another super cool competition running. This time there’s some awesome Umpire goodies up for for grabs including a bunch of Umpire CD’s, Umpire t-shirts and Mukaizake CD’s (featuring 3 members of Umpire). That’s a win-win-win! So head to Scene Point Blank, enter and wait by the mailbox. Also don’t forget to enter the Hotels comp also running over at Scene Point Blank. Check it out here. Love for Umpire continues to grow as more sets of ears manage to wrap themselves around the band’s glorious debut album Now We’re Active. Along with their recent chart sucess in the US the band have also been scooping a bunch of glowing new reviews. 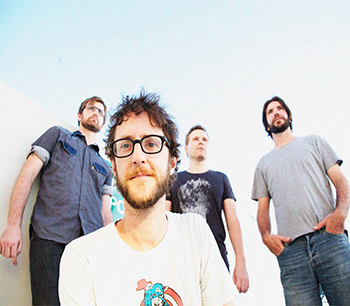 Check out the latest batch in PopMatters, Stereo Subversion, Muso’s Guide and Leonard’s Lair. Also lovely to hear ‘Milking a Thistle’ beaming out of the breakfast show on Triple J the other day. Nice one Tom Ballard! Umpire – "Now We're Active"
Excerpt: “Perth has had a strong history of Pop bands…. The latest in the pop lineage is Umpire whose members have history in bands such as Adam said Galore, O, Mukaizake and they’ve just released their debut album “Now We’re Active” on Hidden Shoal. The album contains all the trademarks of a good pop release with a major factor in it’s sound is the crystal clear production of bassist Simon Struthers work at Forensic Audio. Strong melodies, darting in guitars, strong hooks and enough grit to provide an enjoyable listen…. The label press release that comes with the promo I received mentions that the band “formed in 2006 as a studio songwriting and recording project where … opportunity to utilise the studio as an instrument, developing their songs without the pressures of playing as a live band”. Normally you see such references of the studio as an instrument in electronic/experimental music, but it suits Umpire as you can see they have put a lot of thought into the music and how it sounds. The highlight track for me (pretty much liking it the first time I heard it on RTR) is “The Canyon”. It’s opening line could be the mantra of this blog especially when it comes to me reviewing: “I can’t articulate all these thoughts zigzagging through my head, there’s no exit” covers all the ground I mentioned above and is a mini epic clocking in at 5:19 and being the longest track on the album…. “Green Light District”, the lead out single which can be picked up for free here has a very summery and fresh sound reminding me of The Go-betweens, not musically but in that care free feel that they had on songs like “Spring Rain”. Umpire’s music is available for licensing (master & sync cleared) through Hidden Shoal. Please contact us with some basic details about your project and the track(s) you wish to use and we’ll be sure to get back to you straight away.